It’s early 2002 when Kaspar Peterson, founder and first owner of Brouwerij ‘t IJ, decides that it’s time to brew an extra fresh beer for the summer. 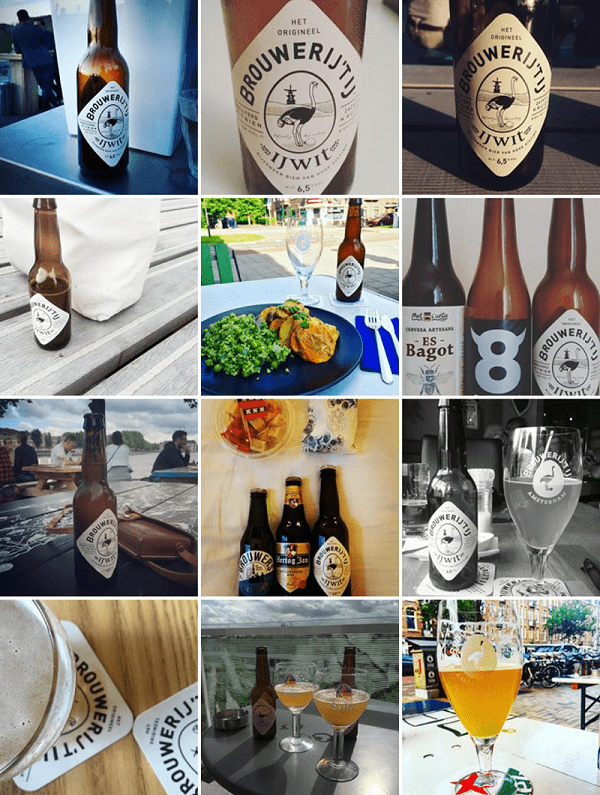 Session ales and IPA’s wheren’t at that time commonplace in the Netherlands, so he decided that it has to be a Belgium style white beer: IJwit was born. Brewing started in june 2002, this beer is brewed with fresh ingredients like coriander seed and lemon. These two ingredients are responsible for the characteristic spicy and citruslike taste of IJwit. Whitebeers has usualy an alcohol percentage of 5 á 6 percent, IJwit was with it’s 7 percent quite strong. The alcohol percentage is lowered in 2012 to 6,5 percent, still higher than average. But because of it’s soft finish, IJwit is an excellent thirst quencher and dangerous good drinkable on hot, summerdays. 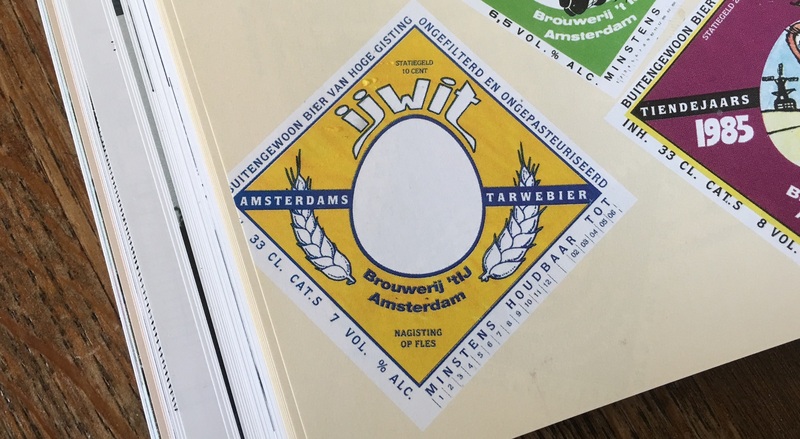 The first idea was to make IJwit only available in the summer, but today is IJwit one of our best sold beer and available from both draft and bottle and not only in the summer, but the whole year. We celebrate the fact that IJwit has become 15 years old, cheers! So, what exactly is whitebeer? Whitebeer is a beer of high fermentation which isn’t only brewed with barley malt, but also with wheat. A distinction is made between whitebeer of the Belgium style and Weizenbeer (also called Weißbier), or the German style. Both beers are brewed with wheat, but do differ from each other. The main difference between Belgium whitebeer and Weizen is that the first one is brewed with herbs like coriander and fruit like citrus. Weizen is brewed with only three ingredients: Different kinds of grain, hops and water, just like the Reinheitsgebot dictates. It’s called whitebeer, because it’s white, right? Wrong, well some people claim it’s called whitebeer because it has a white-ish color, but that’s not the case. Whitebeer owes his name to the fact that’s it brewed with wheat. In Germany the name Weizenbeer is used for whitebeer, ‘weizen’ means wheat. In old Dutch the name for wheat is ‘weit’. So it’s very likely the name whitebeer comes from the old word ‘weitbier’. A discussion probably as old as whitebeer itself: Does a slice of lemon belongs in a glass of whitebeer? Belgium whitebeers are brewed with herbs like coriander and the peel of different kind of citrusfruits, the citrus gives whitebeer it’s freshsour taste. The habit to add a slice of lemon to a glass of whitebeer finds it’s roots back when the whitebeer of Hoegaarden was very populair. Because of the high demand the brewers simply didn’t had the time to let the beer ripe and let it get it’s sour taste. So by simply add a slice of lemon while served, the beer still got it’s freshsour taste. But when you add lemon áfter the brewingprocess, you’ll take the risk to destroy the beer head ánd the taste that the brewer had in mind.